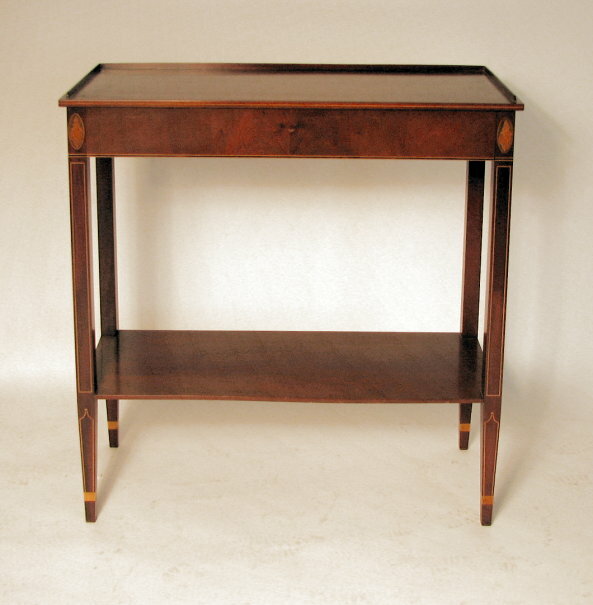 American Federal Classics(TM) replica New York hepplewhite inlaid mahogany server, with string inlay and oval conch inlays, raised on square tapering legs with medial shelf and cuffed feet. The wonderful replica was copied exactly from an original one-of-a-kind we had the privilege to handle several years ago. It was sold to a prominent New Jersey collection and we copied the server with the permission of the owner. 36" wide, 36" high, 16" deep.